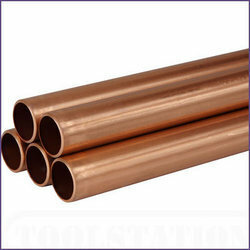 We are the leading stockist and exporter of copper products and cupronickel products i.e copper pipes,copper tubes,copper fittings,copper round bars,copper sheets,copper plates,copper strips,copper fasteners etc. Our range of copper alloy tubes are available in varied forms such as seamless, CRW, welded. 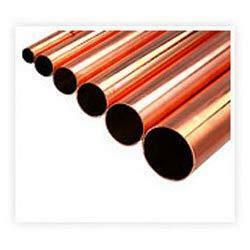 Fabricated from best quality copper, these tubes are high in strength, resistant to corrosion and have better durability standards. In addition, we also ensure that these tubes are in sync with the set industrial standards. UNS NO. C 10100, 10200, 10300, 10800, 12000, 12200, 70600 (CU -NI- 90/10), 71500 (CU -NI- 70/30). Range : 1½” OD to 6” OD in 22swg, 20swg, 18swg, 16swg, 14swg, 12swg, 10swg. Length : Single Random and Required Cut Length End : Plain End Copper Pipe Grade : De-oxidized & Electrolytic 99.9% Test Certificate Mill Test Certificate as per EN 10204 / 3.1B. 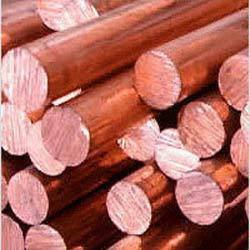 We are stockist and exporter of copper alloy rods, copper alloy round bars and many more. These are made from ace quality of alloy. grade - grade: uns no. C 10100, 10200, 10300, 10800, 12000, 12200, 70600, 71500, uns no. C 70600 (cu -ni- 90/10), c 71500 (cu -ni-.